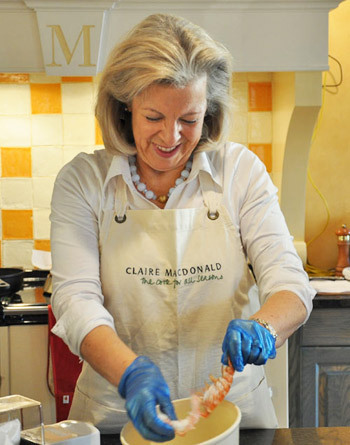 Lady Claire MacDonald, doyenne of Scotland's celebrated cooks, chefs and food-writers and co-founder of the internationally renowned Kinloch Lodge (the West Highlands sole Michelin starred restaurant) with her husband Lord Godfrey MacDonald of MacDonald remains an active and enthusiastic supporter of the Scottish West Coast Langoustine Co-operative's marketing initiatives. 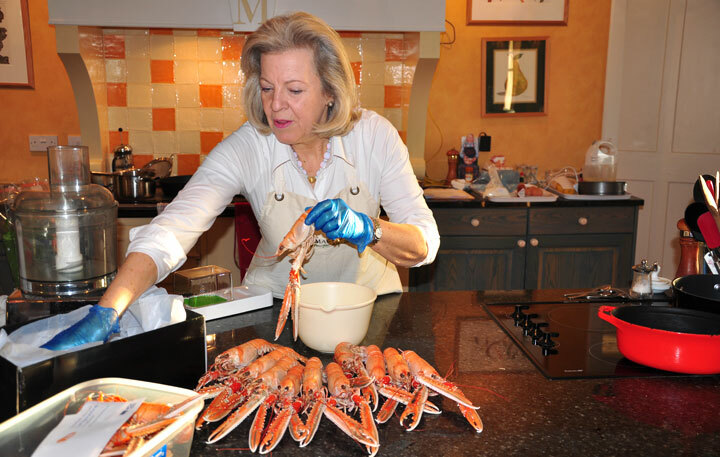 Lady Claire records: "We're so fortunate at Kinloch Lodge in having such a variety of wonderful locally caught shellfish at our disposal and my undoubted personal favourite is the fabulous langoustines landed daily from the pristine seas around Skye. They are absolutely delicious, so sweet and succulent, so versatile and so simple and quick to prepare - every cook's dream. It's a disgrace that this iconic Scottish shellfish, our whole fresh langoustines, revered around the world, remains impossible to buy in Britain's supermarkets. Instead they offer us the dowdy and comparatively tasteless 'tiger prawns' farmed predominantly in Asia and transported half-way across the planet. Why, when we have an abundance of a far superior and 'wild free-range' shellfish landed daily on our door-step? To me this appears a snub to British culinary discernment coupled to a senseless hike to our collective food carbon foot-print. As shoppers we must continually demand the best and freshest home-grown produce from our supermarkets. In vigorous support of the Scottish West Coast Langoustine Co-operative's marketing initiatives I've been delighted to promote and feature this wonderful shellfish in my Masterclass cookery demonstrations both at Kinloch Lodge and throughout the UK, and will continue to do so for the benefit of Scotland's rural coastal fishing communities". 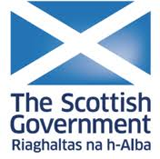 Copyright © The Scottish West Coast Langoustine Co-operative. Design by Skye Images.